One of the most iconic images of London isn’t an architectural gem or a site steeped in centuries of history – it’s advertising space. The spot on the corner of Piccadilly Circus, between Shaftesbury Avenue and Glasshouse Street, is considered prime advertising real estate, with two million people passing a week and space selling for £4 million a year. The site has been used for advertising since a Perrier sign was first erected in 1908, but if you’d walked past from it from 1990 to 2011 you would have seen adverts for two of Japan’s biggest technology brands – Sanyo and TDK. In 2011 Sanyo vacated its space after 33 years because the owner wanted the neon sign to be replaced with one using LED technology. And on March 11 this year TDK too discontinued its sign after 25 years, as it moves away from consumer goods and towards the business market. 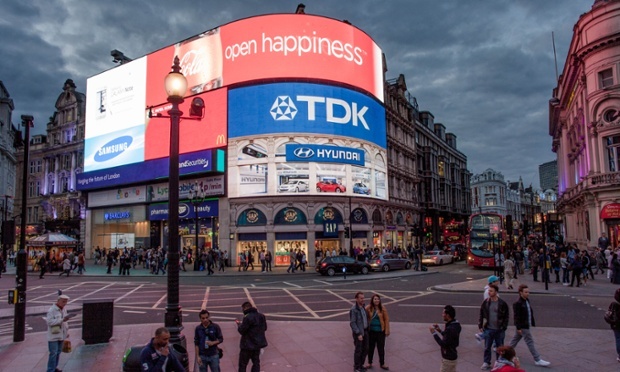 TDK has been very proud to display the TDK neon sign in Piccadilly Circus, one of the world’s most iconic city squares and a prominent London landmark. The strip occupied by TDK in the centre of the display has now been taken over by ITV. The earliest adverts on Piccadilly Circus used incandescent light bulbs, before neon signs arrived in the 1940s – the first advertised Bovril. With the dawn of the 21st century, neon signs started to be replaced by LED screens, which allowed animated adverts. Today, the spot previously occupied by TDK is being used by ITV. 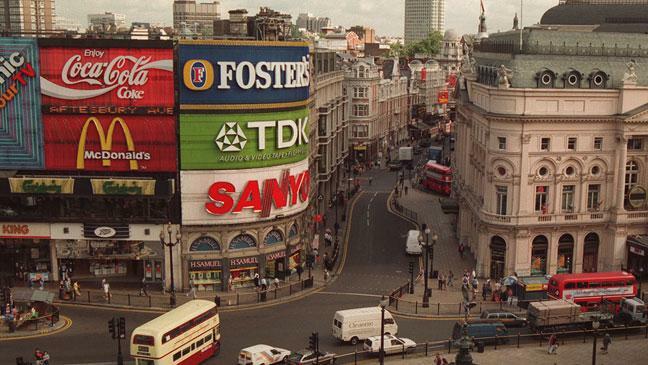 Samsung is the only remaining tech brand to have an advertising spot on Piccadilly Circus.